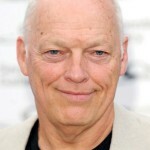 Gilmour releases the official video for Today, from his upcoming album Rattle That Lock. You have this idea that there are millions, literally, of people listening to it at the same time as you and that little strange telepathy of a feeling that you’re sharing something live with all those people. I walk for miles with [the track] on repeat in my headphones … But the more I walk with it and the more I listen to it, things just start emerging. And the music is so suggestive. I mean, David speaks with the guitar…I didn’t really want to stick my head above the parapet at all. Big shoes to fill, you know. Syd Barrett, Roger Waters. Gilmour releases a video where he talks about the creation and recording of Today, the second single from Rattle That Lock. Elder’s film includes footage from the AIR Studios, London, recording session of the orchestral score, written by composer Preisner. Today was one of the ones that Phil [Manzanera] put together from two or three pieces of music of mine that I had sort of ignored. He’s very good at finding them and saying that’s great you should use it. How about using it with that piece, and that piece. So he mopped that one up as a gift. 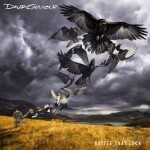 David Gilmour – Making Of "Today"
Gilmour releases a teaser for 5AM from his album Rattle That Lock. I’m done with it. I’ve had 48 years in Pink Floyd – quite a few of those years at the beginning, with Roger (Waters). And those years in what is now considered to be our heyday were 95 percent musically fulfilling and joyous and full of fun and laughter. And I certainly don’t want to let the other five percent color my view of what was a long and fantastic time together. But it has run its course, we are done – and it would be fakery to go back and do it again…I absolutely don’t want to go back. I don’t want to go and play stadiums… under the [Pink Floyd] banner. I’m free to do exactly what I want to do and how I want to do it. Obviously I accept there are people who want to go and see and hear this legend that was Pink Floyd, but I’m afraid that’s not my responsibility. Gilmour releases the official music video for Rattle That Lock. The animation is created by Trunk Animation, under the creative direction of Powell. The hand-drawn animation depicts various facets from John Milton’s Paradise Lost, following the fall of Satan from the kingdom of Heaven and his subsequent journey through Pandemonium, Purgatory and Chaos on his way to corrupt the virgin Earth. A team of 12 animators, artists and compositors, worked continuously over three months to bring the narrative and many technical elements together. Rattle That Lock was inspired musically by the sound that’s played on French railway stations before they make an announcement. It’s a four-note jingle. Every time I heard it it made me want to start dancing. I held my iPhone up near the speaker and waited for the next announcement. Took a sample for that and that’s what I’ve used on this track. Learning to Fly is about breaking free and the actual mechanics of learning to fly an airplane.